Overwatch’s Year of the Dog event starts today as part of the game’s Lunar New Year celebrations. It brings with it a new capture-the-flag map and six new legendary skins. But, with so many skins to choose from, how can you commit to just one? Luckily, Blizzard have announced the Lunar New Year event update will also add a quality-of-life feature which will allow you to change your heroes skin at the start of each match. Check out how this Overwatch couple got Jeff Kaplan to deliver their engagement ring. The announcement was made by the official Overwatch account on Twitter, accompanied by a gif that shows just how the new option will work. 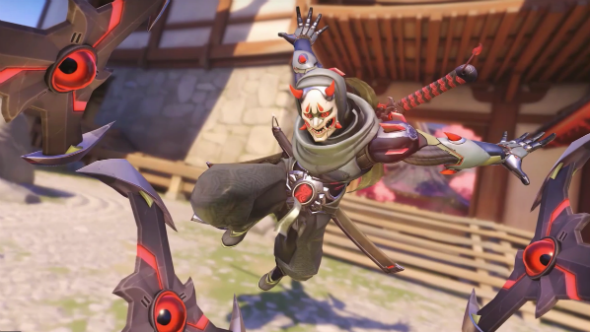 It seems that, once you’ve chosen your hero, you will be given the option to select a skin for them – with a preview for the skin being shown. However, the option is only available before a match starts. Currently, skins are selected through the hero gallery when in the menu option and cannot be changed during, or before, a match. However, players have wanted the cosmetic feature for some time– and not it’s finally being delivered. Overwatch’s Year of the Dog event will start later today.